Why do successful companies follow email etiquette? It’s hardly surprising that in today’s digital world, email still drives a lot of growth in the business sector. Successful companies promote themselves across numerous online forms but email marketing remains one of the most popular.. The reason for this is simple. Familiarity with the system has been bred through its long history and the ease and simplicity of the format makes it flexible enough to be moulded to virtually any creative purpose. Whether it’s to recruit new employees, garner more business or promote your firm’s latest developments via newsletters, email marketing services are a vital part of a company’s success – providing you know the best way to use it. Unfortunately, this is the stumbling block for many firms. 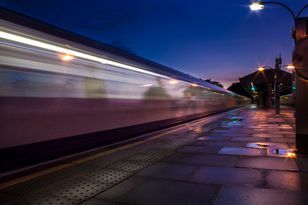 While successful businesses follow these rules to ensure that their message is delivered to the right recipients and in a manner which will encourage them to act upon it, not everyone is aware of these tricks of the trade. 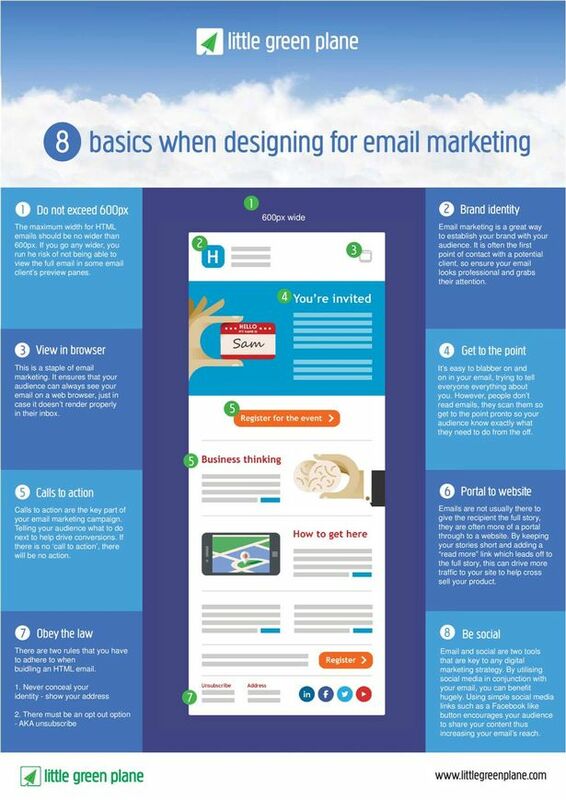 Thankfully, email marketing experts Little Green Plane have produced an infographic detailing the eight basics of designing marketing emails. Here we look at what they are and why successful companies follow them. Some email reading panes won’t support your message if it’s wider than 600px as this is the standard width adopted by most systems. Successful marketers will be aware of this and ensure their design falls within these parameters to ensure clients are not dissuaded from opening or viewing their email by an insufficient initial view. Similarly, brevity of information is key when it comes to the actual written content of the email. It is well known that emails are rarely read in full with viewers skimming over the page to pick out important information instead. By keeping emails short and to the point you can ensure readers do not dismiss them within seconds of opening. It’s all very well having an email that looks the part but for your email marketing to be a success it needs to have more than just a pretty face. Branding should be a central focus of marketing emails and is also a legal consideration (as firms should not attempt to hide their identity). To achieve the best results, make sure your branding is clear but unobtrusive. It should complement the content of the email, not overshadow it. You should also include clear call-to-actions for the readers but once again take care not to overload them. A link to your website is a handy, and vital, inclusion and one which can help reinforce your brand message. Successful businesses recognise that marketing emails are often their first contact with consumers so it’s important to get it right. The best marketing emails are concise and clear with clever use of branding and an “opt-out” button offering the choice to unsubscribe from the mailing list.